What the..?? What is hell is THAT?? It’s pitch black outside. It sounds like a drill? Have I fallen asleep in a construction site? No, that’s the phone, but the ringer volume seems to have been set by to “profoundly deaf”. 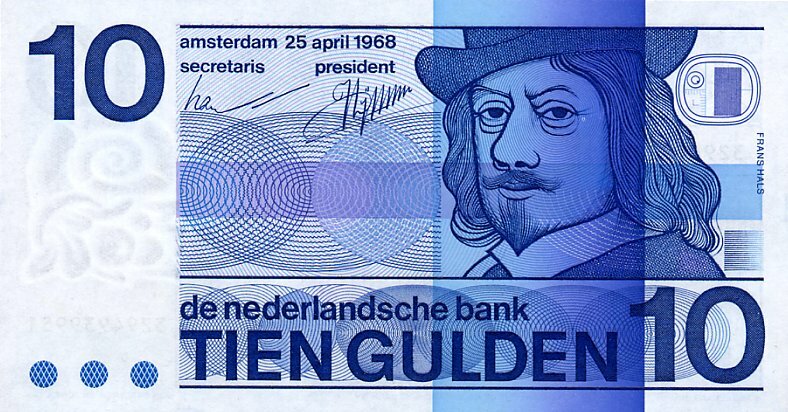 What’s “hello” in Dutch? I know…..
It’s hard to argue with an automated phone, so I just glare. I’m soon outside, slightly early for the bus to Schiphol, and it arrives on schedule on 6.35am. It’s always an unusual feeling leaving a country before the sun has come up. I feel like I’m sneaking out without saying goodbye, and I don’t even know anyone here. About the only conversation I’ve had was with the guy who sold me the “I vaguely remember being in Amsterdam” t-shirt. Strange guy. The bus arrives, and I need to keep moving. The plane for Paris leaves at 8.45, so if check-in is an hour before that…ok, breakfast can wait a bit longer. I check in and find somewhere for breakfast. It’s my last chance to spend this strange cartoon money. THUMP! I grab hold of the armrests as I’m jolted awake, and try to refocus on my surroundings as quickly as I can. I catch the look of some bored fellow passengers, and I think my sudden return from slumber may have provided some brief entertainment. It appears that we have landed. It’s 10am on 20 November 1989, and I’m back in France. The last time I was here was in January 1988, having spent just over a month with a host family in Bordeaux. I’ve been invited back, this time for a couple of months, and have plans to see as much as France as I can. It’s been a busy couple of weeks. 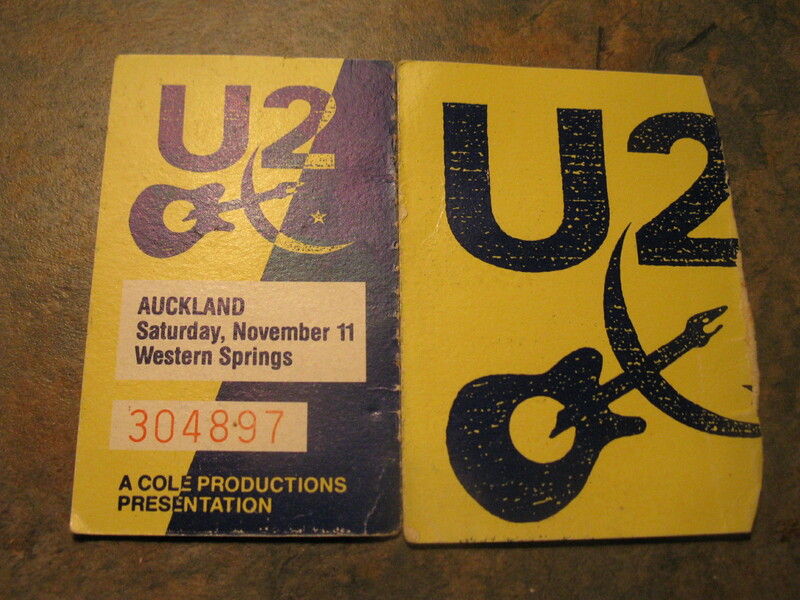 On 11 November, I had my last exam for the University year, which coincided with U2’s concert in Auckland on their Lovetown tour with B B King. I asked my friend to pick me up after two hours of the three hour exam, because we needed to be up the front for the show. The crush gets a bit much after a while and I need a drink, so I ask to get pushed out over the front rail, where I land underneath a bemused looking Bono. We share a moment and I’m off to look for some juice. Fortunately I passed the exam, and the concert was fantastic. On the 16th I flew to Hong Kong, with its spectacular landing at Kai Tak Airport. No-one had warned me about that one. Kai Tak was later closed in 1998 due to noise levels. On the 18th I left for Amsterdam, arriving early on the 19th. It’s now the next day and I’m about to use my Eurail ticket for the first time as I take the RER from Charles De Gaulle Airport to the Gare du Nord. I can see my train waiting for me as my train pass is slowly validated and authenticated. Time seems to stop as they check my passport, then the ticket, then the passport. Eventually I’m released and leap into the train, convinced that the doors will slam shut behind me and we’ll be speeding towards Paris. This dramatic entrance isn’t really required as the doors lie open for another ten minutes, but finally we slide out of the RER station. We’re joined by a string of gypsies and buskers on the train. I only recognize one song, “Blowing In The Wind”, by busker #3. It’s a good performance, so I share with him some of my spare Dirhams from Dubai. I’m not going to be needing them, and from his audible reaction, it seems he has no plans to use them either. He kept the money though. We make it to Paris and my next stage is to catch the metro across to the Gare d’Austerlitz. I don’t think this is the best time to learn how to buy a metro ticket from the vending machines, so I take my chances in the queue, taking up valuable transit time. Lugging a heavy suitcase around the Paris Metro is never easy, but at least I’m carrying it downstairs to the platform. 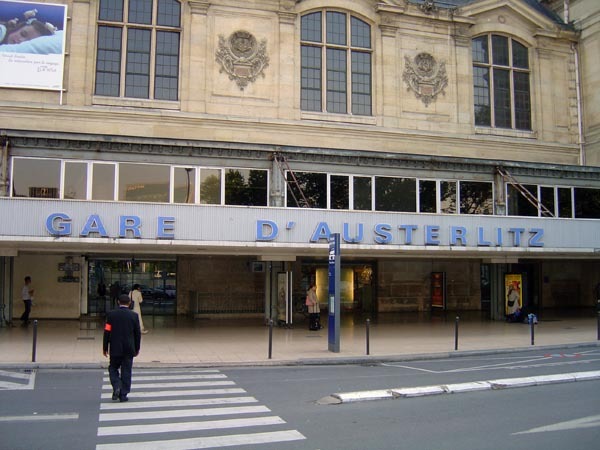 The upstairs trip when I reach the Gare D’Austerlitz will be the challenge. Forcing it into an already full carriage doesn’t make any friends either. At least I don’t have to change lines. But I’m in Paris again, and I’m surrounded by Parisian voices and faces. I don’t care how grotty it is; I love the Paris metro. I try not to stare. I make it to the main lines at the Gare d’Austerlitz and while looking up at the departure boards, I try to keep an eye out for oncoming tourists doing the same. I find my train, and get on as early as possible, looking for an unreserved couple of seats. I’m not feeling that chatty. The train to Bordeaux leaves at midday. I’ve now been moving for six hours, and have five hours 45 minutes of French countryside to enjoy. 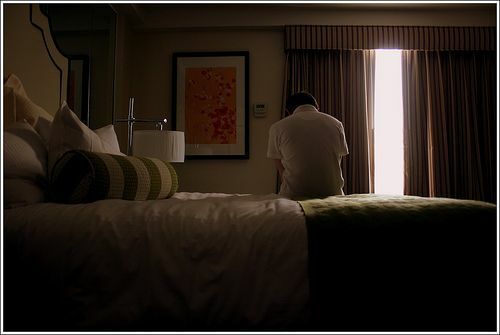 I don’t want to fall asleep – that’s a great way to wake up without a suitcase. As we pass through the Loire valley, I see more and more buildings that would definitely qualify as Chateaux, and wonder what life is like for the families who live there. I see signs with familiar names come and go – Tours, Poitiers, Angoulême, Libourne. A few passengers get on with dogs – I remember that from last time. And then I notice someone in my carriage who looks familiar. That’s one of my french sisters from my Bordeaux family! I haven’t seen her in almost two years, so I’m not completely convinced. I try to get a better look by checking her reflection in the window. Definitely her. Maybe not. No, not her. Yes it is. It’s her – no doubt. Possibly. Actually I’m not sure. I think she caught me staring. Damn. I really think it’s her. This goes on for about an hour. It wasn’t her, but it did pass some time. 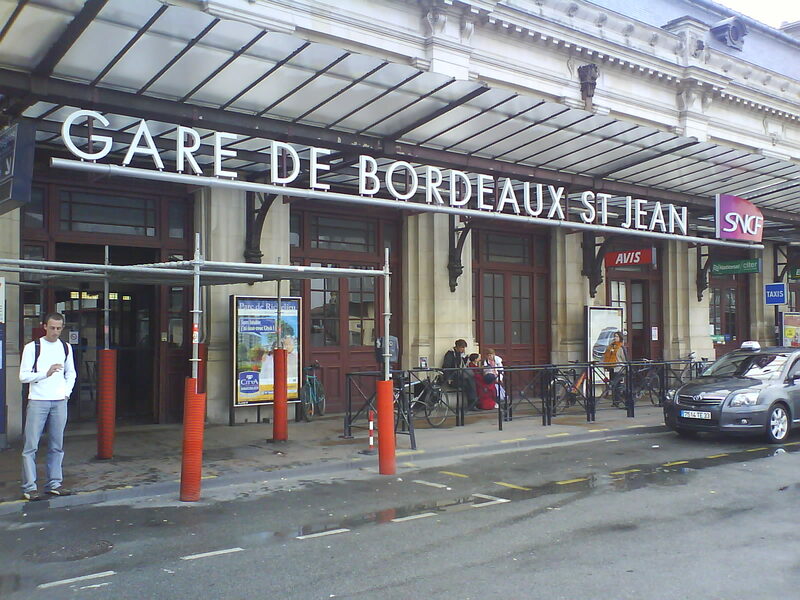 And finally we arrive in Bordeaux. It’s almost 6pm, which means darkness at this time of year. I want to surprise my friends and complete today’s journey without cheating, so I take a local bus. I know it stops directly outside their house, so I drag my bag onto Bus 9. This also brings back memories of daily trips into the city to join my group of fellow students. And at last I reach the door. I’m greeted first with laughter, then kisses and handshakes, and then a beer. These french people really know how to make someone feel welcome. This entry was posted in Music, Travel and tagged 1989, amsterdam, auckland, Austerlitz, bordeaux, busker, gare du nord, Kronenbourg, lovetown, metro, music, paris, travel, u2. Bookmark the permalink. Nice collection of travel memories. BB King wasn’t bad either. I remember they put on an extra show the previous day and hardly anyone went!